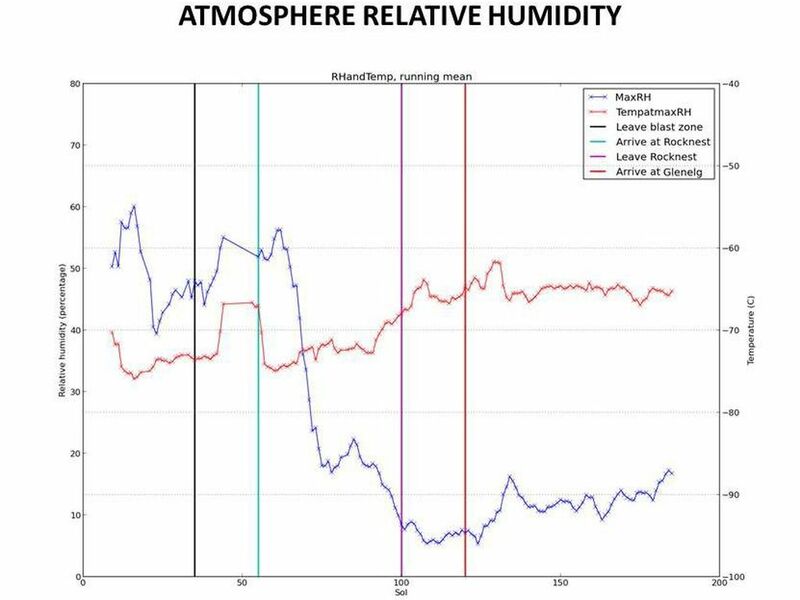 This graphic tracks the maximum relative humidity and the temperature at which that maximum occurred each Martian day, or sol, for about one-fourth of a Martian year, as measured by the Remote Environmental Monitoring Station (REMS) on NASA's Curiosity Mars rover. 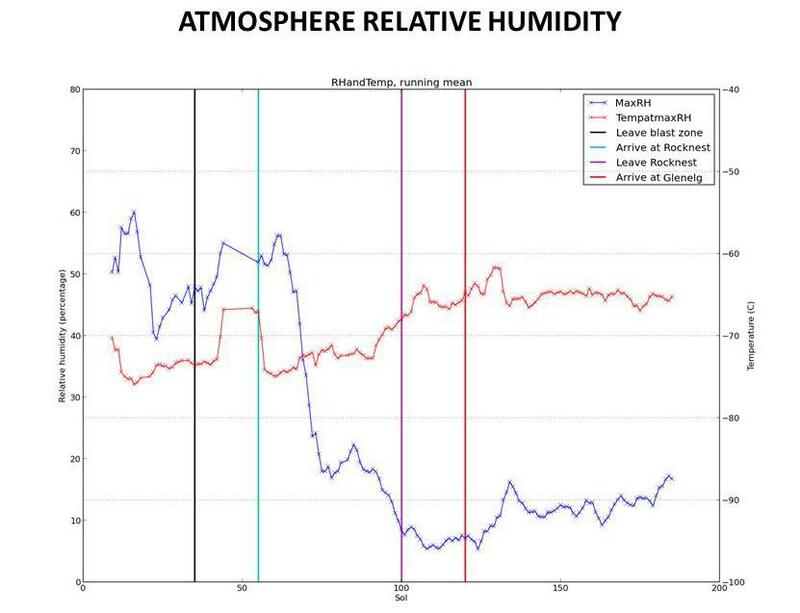 These are the first systematic measurements of humidity on Mars. 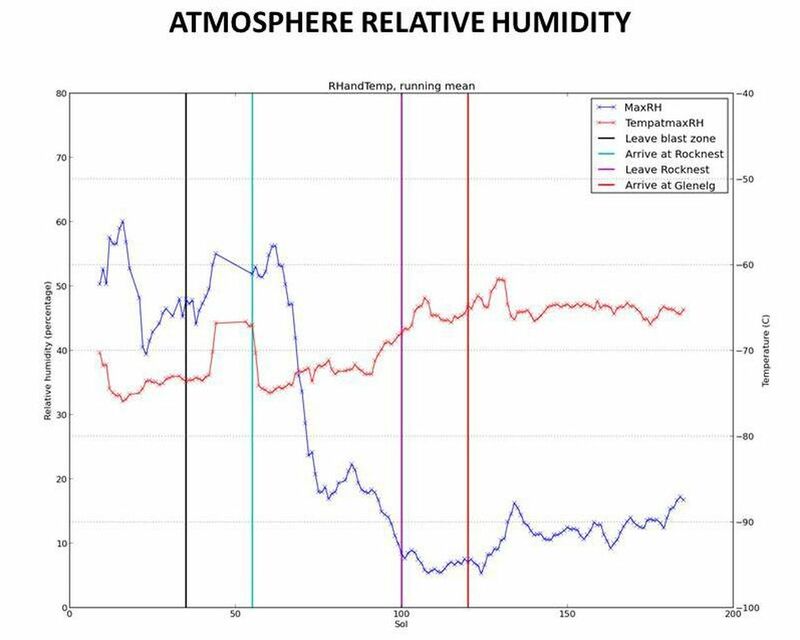 The data are graphed by sol number (starting with Curiosity's landing day as Sol 0), for a period from mid-August 2012 to mid-February 2013, corresponding to late winter through late spring in Mars' southern hemisphere. 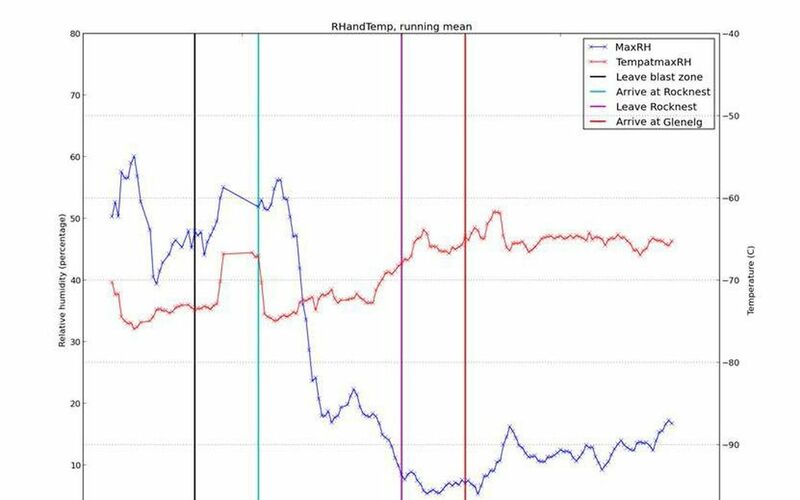 Four vertical lines on the graph mark progress points of the rover's traverse. While air temperature is not strongly tied to the rover's location, REMS has measured significantly different relative humidity in the different terrain units where the rover has been. All of the sites along the rover's traverse are extremely dry compared with Earth. NASA's Jet Propulsion Laboratory, a division of the California Institute of Technology, Pasadena, manages the Mars Science Laboratory Project for NASA's Science Mission Directorate, Washington. JPL designed and built the rover.